3 View Suites each with ensuite bathroom & living room in charming & quiet townhouse right at the center of Montmartre! 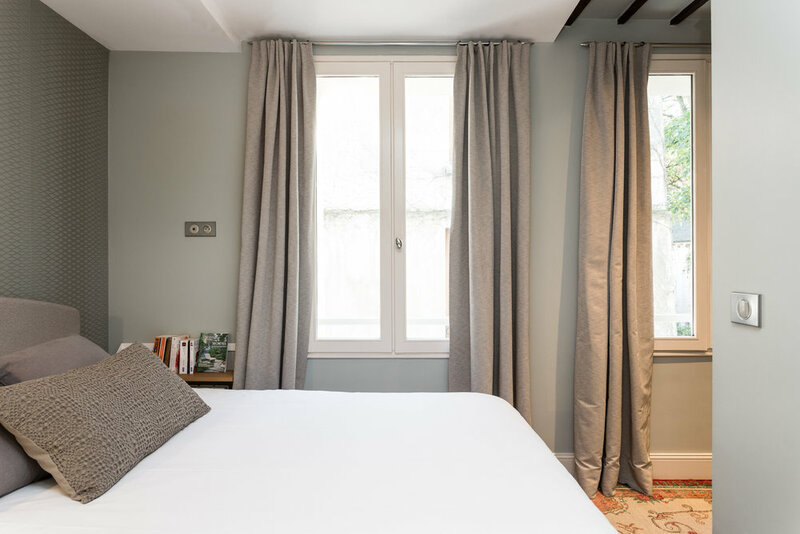 Each Suite occupies an entire floor & enjoys a superb view of the Sacré Coeur Bailica and St Pierre de Montmartre church. 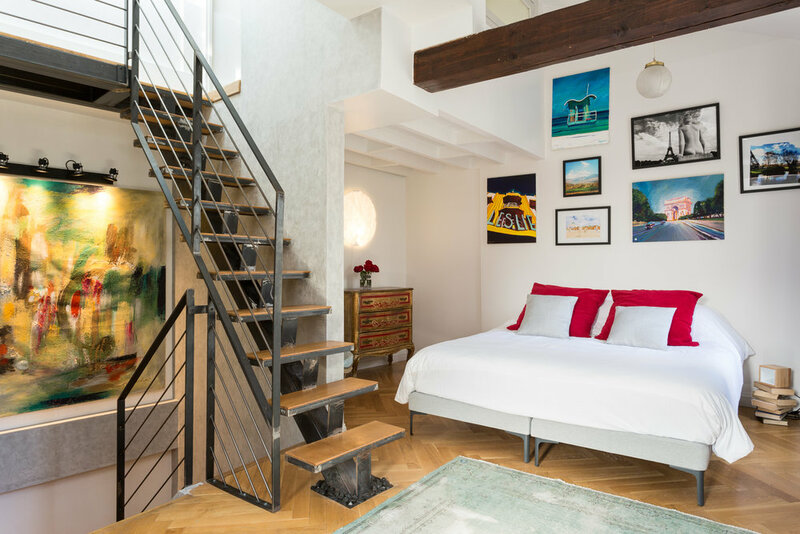 As art lovers, we named the suites after renowned artists who lived and got inspired by Montmartre. At AdM, you will enjoy the unique experience of sleeping in a private art gallery thanks to our talented guest artists who put on exclusive exhibitions! All proceeds go to the artists.